Lifeboat and rescue team sent to Saltburn Pier after a teenager announces his intention to jump off it. 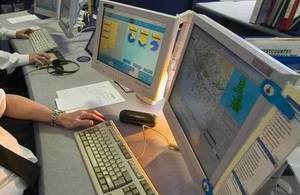 At just after 5pm (5 February 2013) Humber Maritime Rescue Coordination Centre sent the RNLI Lifeboat based in Redcar and the Redcar Coastguard Rescue Team to Saltburn Pier after receiving reports from Cleveland Police that a teenager was threatening to jump in to the rough seas. When the teams on scene couldn’t find the teenager further investigations revealed that he was at home. He had posted his intention to jump from the Pier on social media after taking part in a ‘game’ of NekNominate this afternoon. The craze of neknominate is spreading virally through Facebook but before accepting your mission please just stop and think about what you are doing. Alcohol is a contributory factor in a significant number of coastal drownings every year. Alcohol and sea water really don’t mix. The MCA understands that NekNominate is a drinking game where young people are ‘nominated’ through Facebook to down strong drinks and carry out dares. The participants often share their exploits after filming them on mobile phones. It’s believed that the social media craze originated in Australia.